In this article I’ll show you how to soften polymer clay and bring some life back into it with a range of easy tips and tricks. Hard clay has to be one of the most irritating things you come across when working with polymer clay. Thankfully there are many different things you can do to get your polymer clay back on track. I also have an article that shows you how to firm up soft polymer clay if you’re suffering from the opposite problem. By sure to check that out. How Hard is your polymer clay? 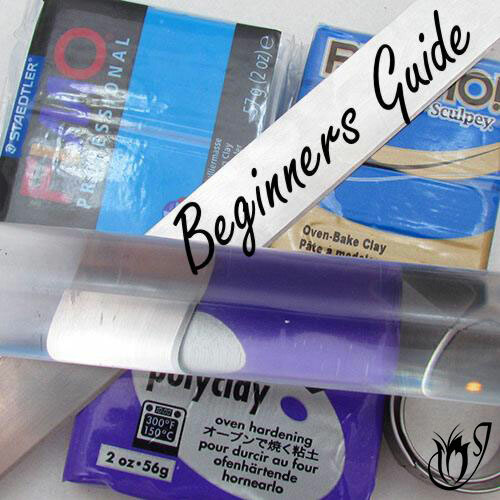 Before we get down to how to soften polymer clay, you first need to know what the problem is. Is your clay just a bit firm because of the brand or because it is cold? Or does it have the genuine rock-like texture of old polymer clay? It's important to know what you're dealing with, because firm clay needs energy in the form of a good bash or some heat to loosen it up, whereas old clay has lost some of its plasticizers, and the only way to bring it back to life is to re-introduce them. If your clay has been sitting around on your shelf for months and months, there's a good chance that it's gotten old, but how do you know for sure? How do you tell the difference between firm and old polymer clay? The block of polyclay on the left isn’t fresh and won't give when squeezed. The block on the right is the fresh clay. Well, it's called the squish test. Pick up your clay and give it a good squeeze. All polymer clay brands should be squishable to some degree if they are fresh, even if they are cold. At a minimum, you should be able to round off the corners and edges of the block without any effort. 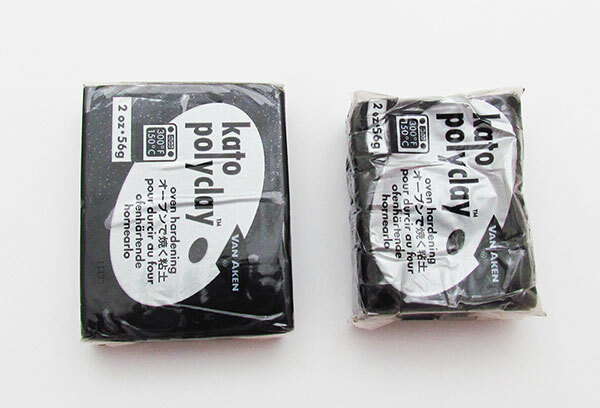 Just bear in mind that Kato, Fimo Professional or Pardo will always feel firmer than Premo or Fimo Soft. If the block doesn’t give way, then either the polymer clay isn’t fresh or it is partially cured. It could have been exposed to too much heat or left lying around somewhere for too long. As mentioned above, firm clay just needs some elbow grease to get it going. The problem is that it's not really your elbows that do the heavy-lifting in this case, it's your hands, and they can get pretty sore, pretty quickly. A good old-fashioned mallet is the simplest, cheapest tool to use to beat your clay into submission. Just put your polymer clay in a bag and bash it until you feel it start to move. You can even revive old polymer clay like this if it is not too far gone. The NeverKnead is a tool that has been specifically designed for conditioning polymer clay. It basically does the same as the mallet but requires very little effort to use. It's quite pricey but has been a life-saver for people with arthritis or weak hands. If you still feel that the clay is too hard, you can try mixing in a softer brand of clay. For example I often mix Kato and Premo together. I know many don't recommend doing this, but I have been doing it for years without any problems. I find this technique especially useful in the cold months when I still need the firmer properties of Kato for caning, but the temperature is making the clay difficult to work with. This is also true when I am using Premo in a project during the warmer months. Mixing in some Kato, results in a polymer clay that is still soft and pliable but not so sticky that I can't get it off of my fingers. The life span of most clay brands is fairly long if it is kept properly. I've used blocks that are more than a year old without any problems. However, all polymer clays will eventually loose so much of their plasticizers that they become unworkable. Welcome to the polymer clay rock! The only way to revive rock-like clay is to re-introduce the plasticizers that have been lost. Thankfully there are a few things we can add to get this done. First though, give the clay a good bash with a mallet or other heavy object. This will warm the clay up a bit and get whatever plasticizers are left in the old polymer clay working for you. Next we're going to start adding things. Each of the options below can be added manually by just kneading them into your clay, but depending on how old your clay is, and how much you need to add, this process can become very tiresome - and it's hard on your hands. A really great way to get this job done is to use an old food processor. Just crumble your old polymer clay in and add your preferred plasticizer bit by bit until your clay softens up enough to become workable. The best option is to add a few drops of translucent liquid polymer clay. This is always the best place to start because the liquid clay is easy to add, and the results are fairly easy to control. Just add a few drops at a time until you reach the desired consistency. I recommend Kato liquid translucent for this because it's the least expensive, but Fimo Deco Gel will also work. 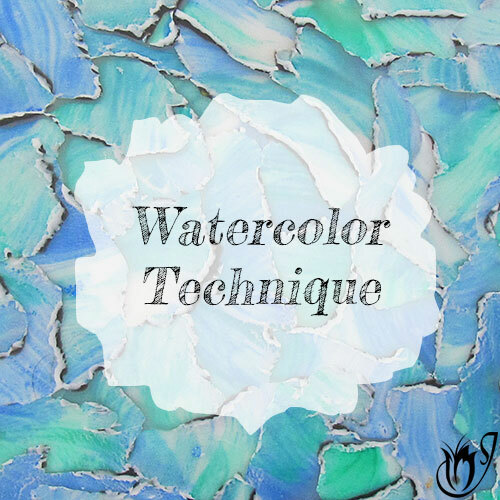 You can also use mineral oil, baby oil, Sculpey Clay Softener or Fimo Quick Mix. All of these work fairly well but they are less predictable than the liquid clay. If you use one of these plasticizing options, be very careful to go slowly. If you go too far - you'll end up with a squadgy mess! 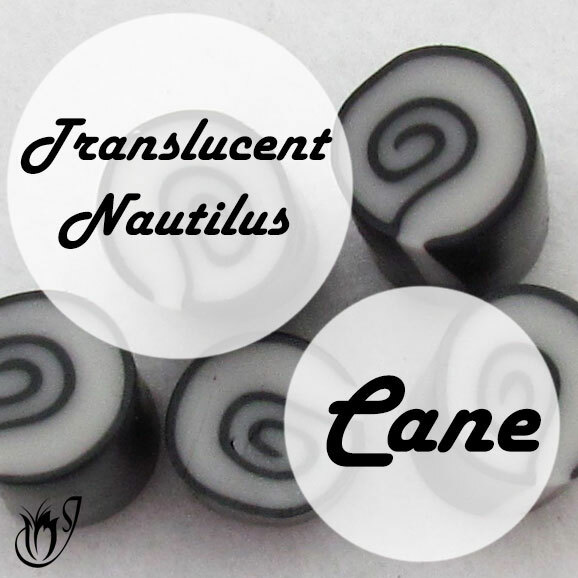 Mixing translucent clay into your old polymer clay can also help, since translucents are usually quite a bit softer than the other colors. 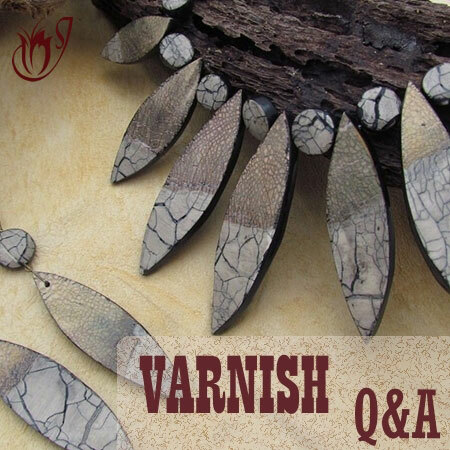 This method also produces predictable results but bear in mind that it will increase the translucence of your clay. If you find that you are adding plasticizing agents to your old clay but the clay is not absorbing them, your clay has probably become partially cured. This usually occurs when the clay is exposed to too high a temperature. Unfortunately, nothing I can tell you about how to soften polymer clay is going to help if your clay is cured. Cured polymer clay is usually not much good for anything other than the rubbish bin, but I have a couple of ideas. I'll be adding a polymer clay tutorial on this soon, so keep an eye out for that. To avoid old, dry polymer clay, make sure to buy your clay from a reputable distributor with a high polymer clay turnover. Unfortunately there are way too many places trying to sell you clay that has been lying around on a shelf, or in a warehouse, for months on end. If you are buying online, make sure to order during the cooler months of the year. Clay can cure in the back of a hot truck. If you are ordering internationally, make sure to take into account the season of the place where your distributor is located. Spring and Autumn are the best times to buy. I have a whole article full of tips for buying the freshest polyclay, so be sure to check that out for more information. Try not to keep your clay blocks for too long. It's best to buy regularly and keep your stock turning over rather than buying huge quantities at a time and using them up slowly. Store your polymer clay away from direct sunlight in a dark or shaded area. The heat from direct sunlight can cure the clay, especially in the warmer months. Test your bag by leaving a small amount of polymer clay lying on top of it for a week or so. If it is leaching the clay, the plastic will take on a cloudy appearance where the clay has been lying. If the bag remains clear it should be alright to use for storage. A mallet can be your best friend when it comes to hard polymer clay. 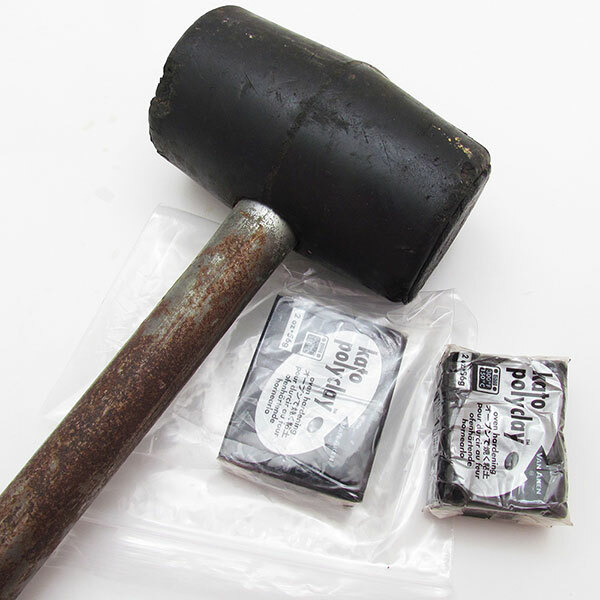 Use it to bash your polymer clay into submission. If you have weak hands or just want an easy way of softening your clay, the NeverKnead is a perfectly designed machine just for conditioning polymer clay and will help to soften it up. Mixing a softer brand together with your hard polymer clay can work wonders to give it a softer, more workable texture. Revive tired, old clay by adding plasticizers. Translucent clay, translucent liquid clay, mineral oil, baby oil, Sculpey Clay Softener or Fimo Quick Mix can all be used to get the job done. Give your hands a break by using an old food processor to mix in your plasticizers. Prevention is better than cure. Be careful where and when you buy your polymer clay and how you store it. 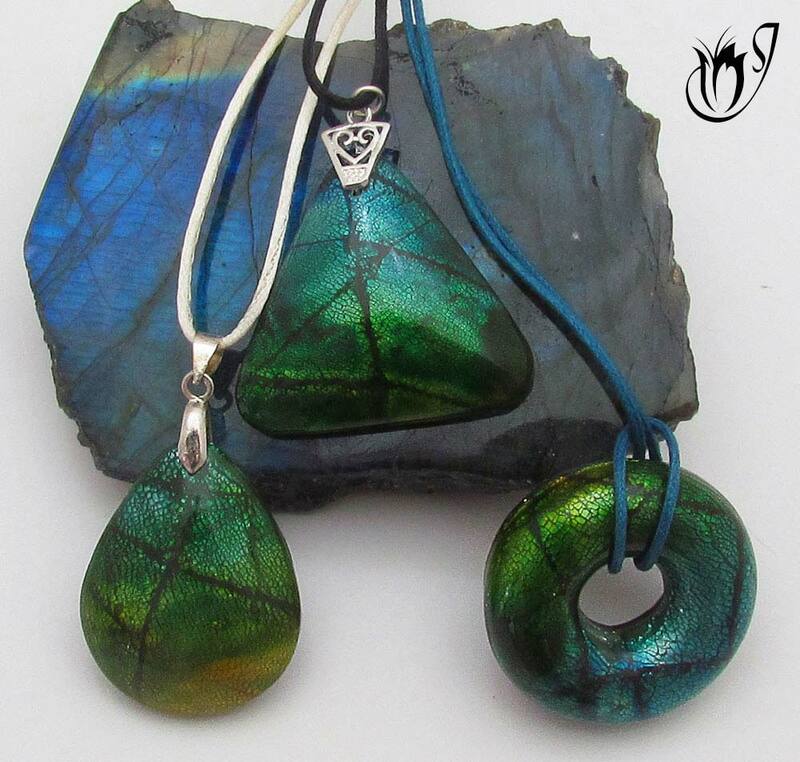 Faux dichroic beads using polymer clay and a variety of surface techniques. Now that you know how to soften polymer clay, you should be able to make use of all but the deadest blocks on your shelf. And remember, an old food processor is a life-saver, especially if you have a good number of old blocks to fix up. And please don't let the firm texture of some of the polymer clay brands put you off of using them. Although it is sometimes easier to just use a block of Premo straight from the packet, you will be missing out on some of the wonderful benefits of the firmer brands which are great for caning. All it takes is a good bash with a mallet - plus I find the bashing can be quite therapeutic! Let me know how it goes in the comments and don't forget to like and share these tips about how to soften polymer clay with your friends! 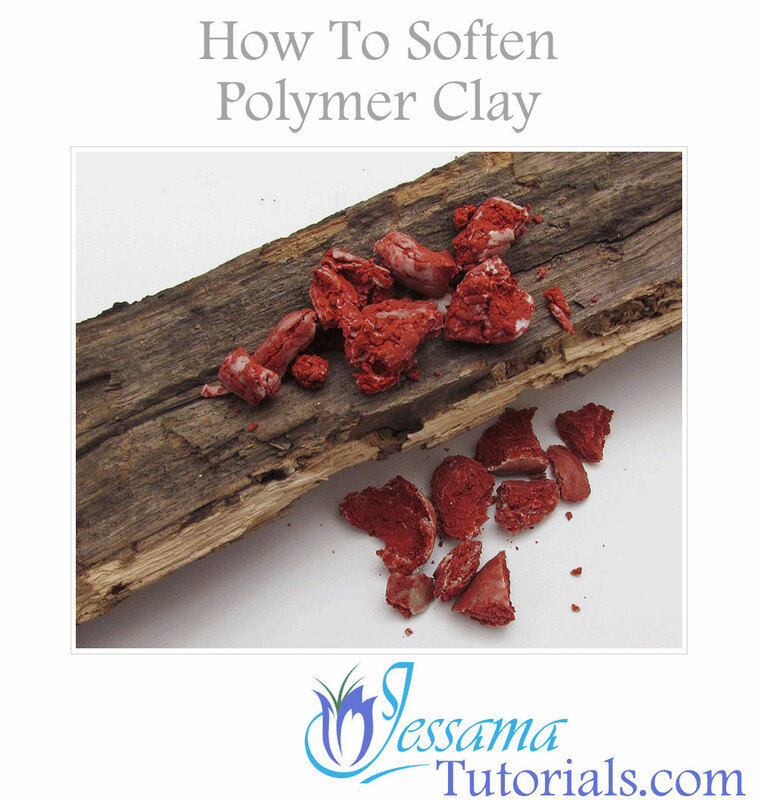 If you are also having the opposite problem, and some of your clay is too soft, check out my article How To Firm Up Soft Polymer Clay.